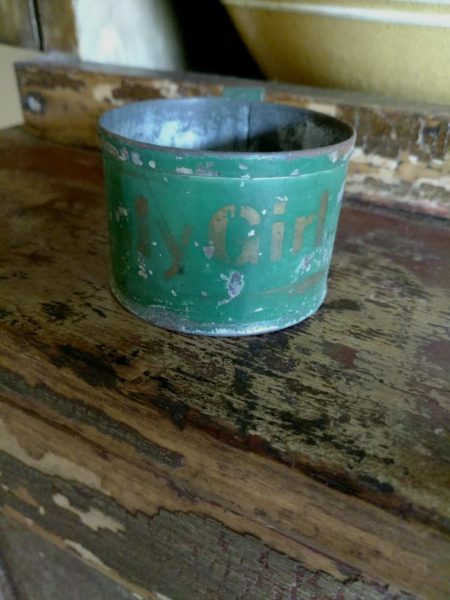 A neat old toleware child’s tin cup in green paint. Dates from the later 19th Century Victorian. Stenciled in gold ” MY GIRL “. A wonderful piece of Americana primitive. Original surface with some loss of the painted green surface. Round loop handle . Fold over rim. Inside and bottom of the cup in the original tin.